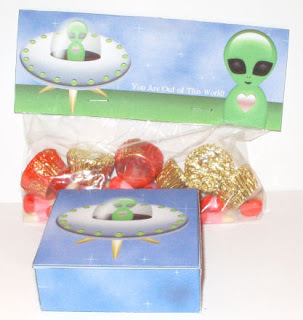 A bag topper and a matching box. 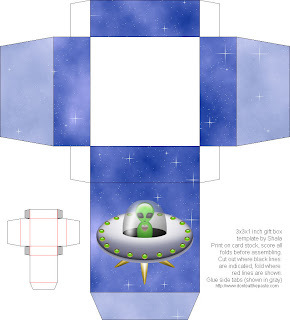 The bag topper is set up to print 2 on one sheet and it's 6.5 inches x 2 inches. The box is my 3x3x1 box. I hope you like them! Click on the images for the full size 100 ppi versions. If you're a friend of mine on FB, then you know when the "post a picture of you and your sweetie for Valentine's Day" thing came up, I drew a kokeshi style picture. I loved the alien so much I had to post something with it. 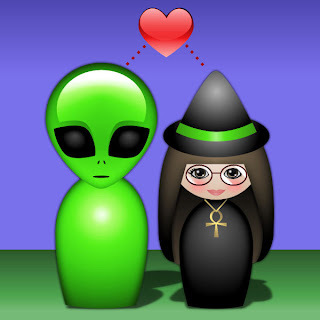 The witch and alien is an old joke between my husband and I.